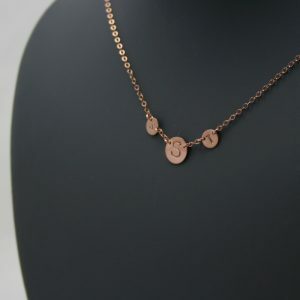 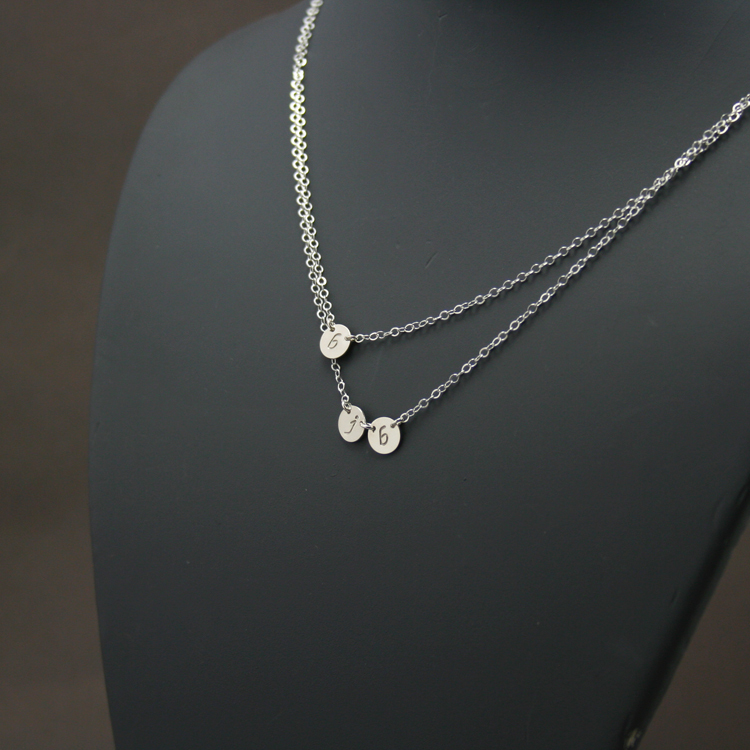 Handmade double layered initial necklace with 3 initials. 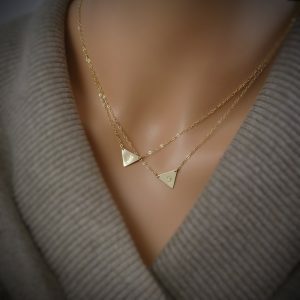 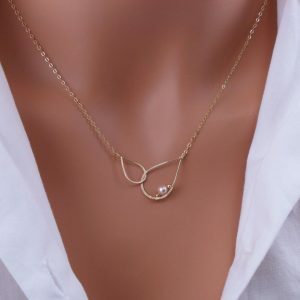 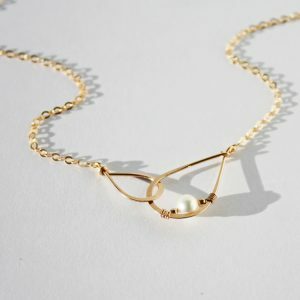 It is one necklace and has two layers of chains connected with one clasp. 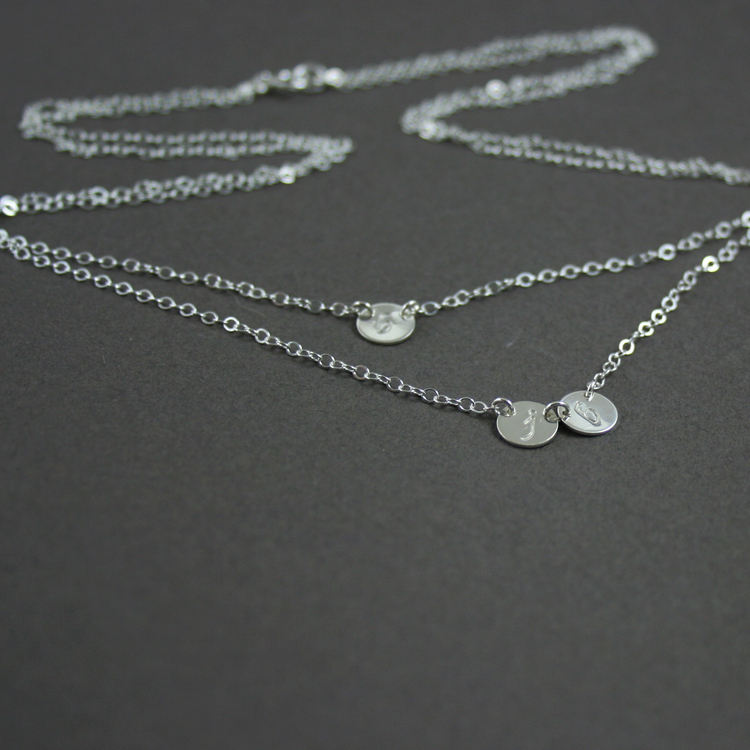 Discs are the same size and each one measures 7mm. 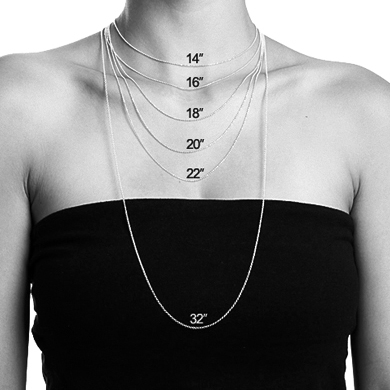 Lower layer chain is approx. 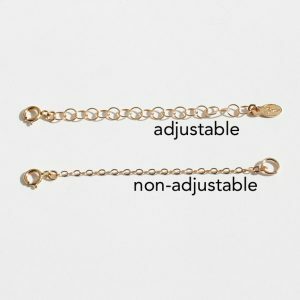 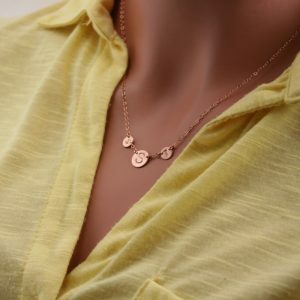 1 inch longer than upper layer, disc on the shorter chain is attached to the side so both discs are always visible while wearing. 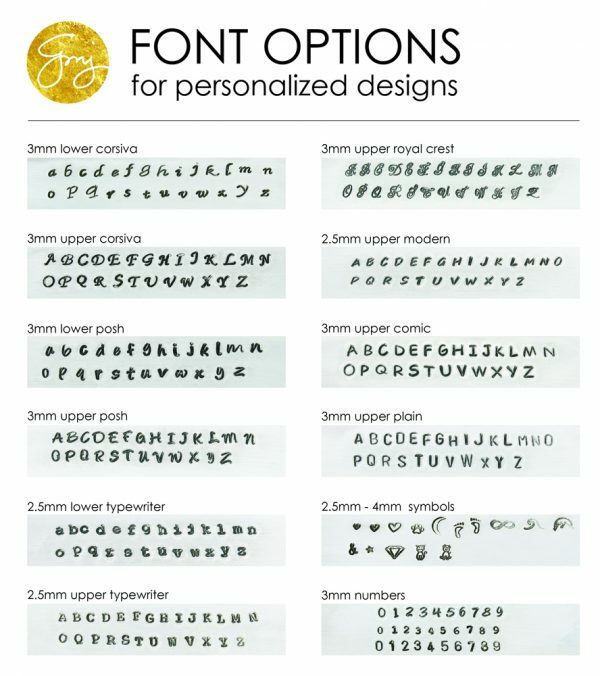 I can stamp 3 letters or a heart and letters or numbers. 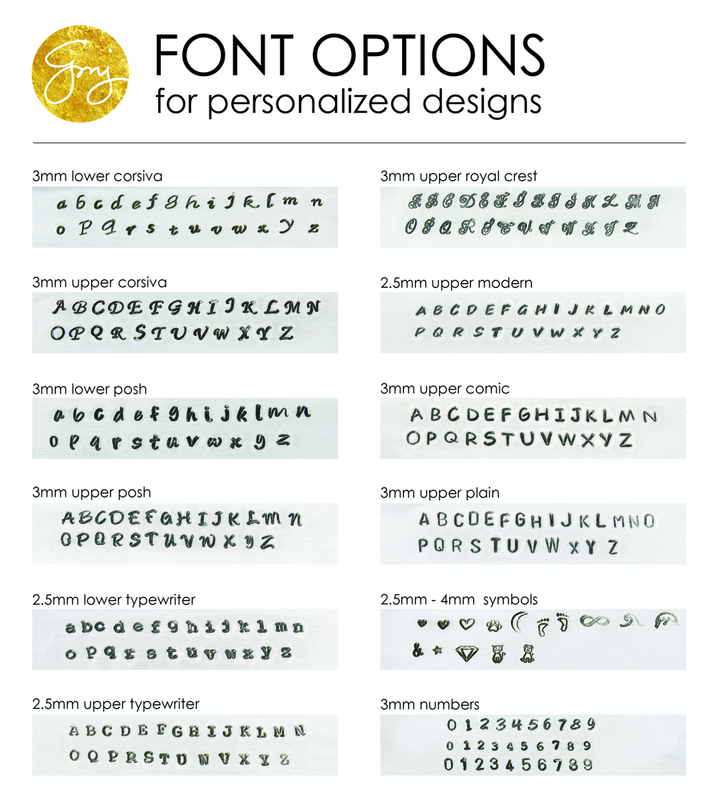 You can select your symbols and fonts from the photo in the gallery. – Discs are about 3/4 inch a part while wearing. 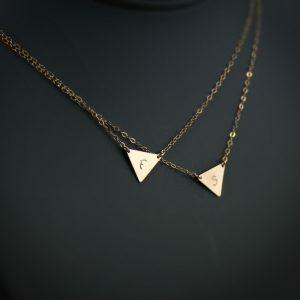 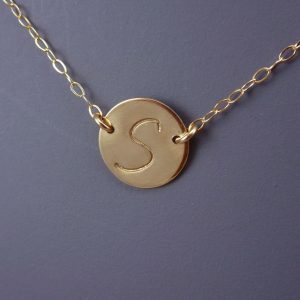 Initials will be stamped in order (left right) the way you are looking at the person wearing it.